Although I have a few jumpers in my wardrobe, it doesn't stop me hunting down different styles and colours every year. 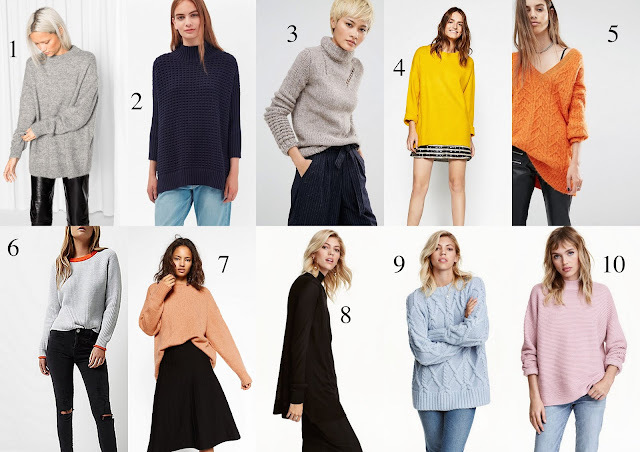 This year I'm very fond of the oversized jumpers, chunky knits and coloured options. 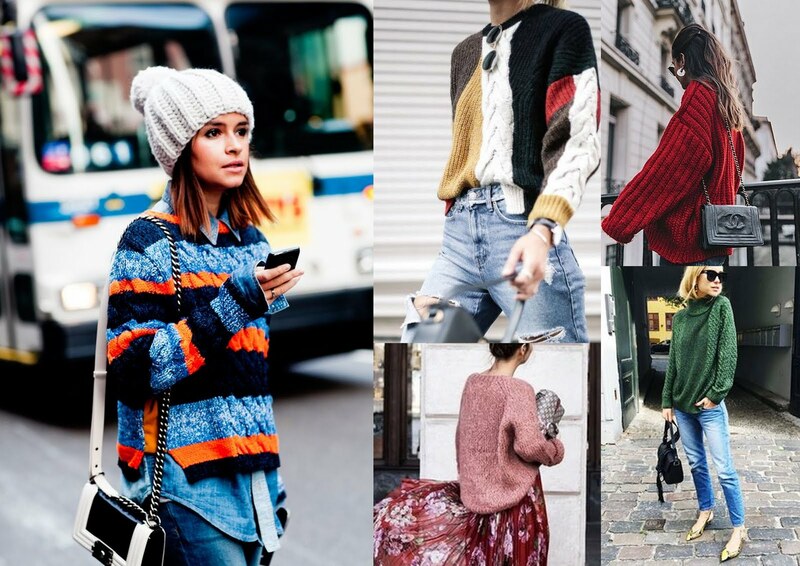 Chunky knits remind me of Winter, the thick texture and the instant feeling of being comfy. I love the way these ladies have styles theirs. I will most definitely be trying to squeeze mine under my dungarees. 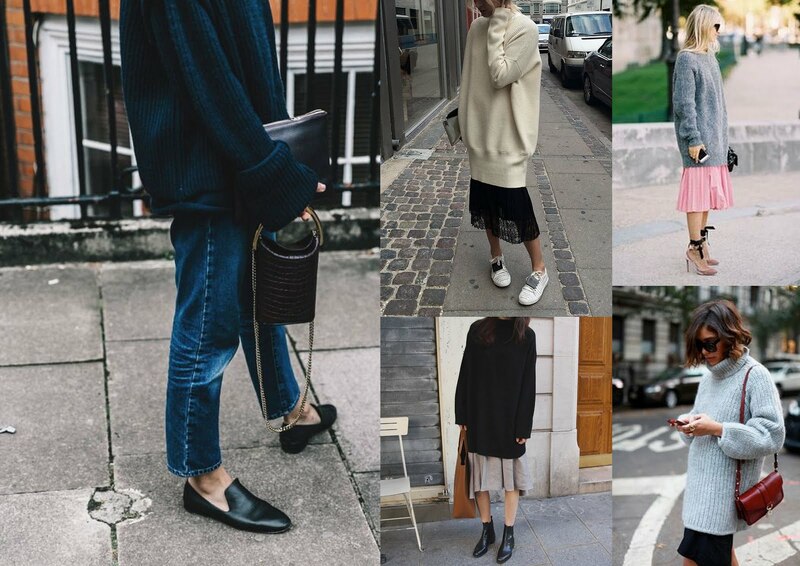 Try tucking them into trousers, skirts and jeans or wearing them with a lace top underneath. I certainly need more colour in my wardrobe, the blacks, greys and creams are my safe colours which I tend to opt for most of the time. But as I have too many of these colours, my challenge will be to add more colours to my Winter wardrobe this year. A coloured jumper will look a lot better paired with jeans and will lift any outfit, brightening up a grey winter's day. Happy Shopping and why don't you try adding some colour this Winter too if you don't already.